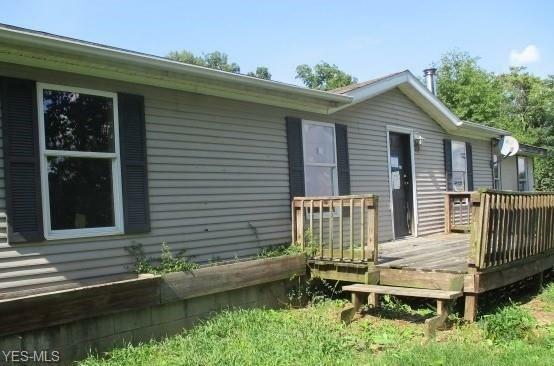 This 2000 3 Bed, 2 Bath Manufactured home sits on 5 acres of level land in East Muskingum School District. Features Living and Family Room. Master Bedroom with attached bathroom. Additional Full Bath with laundry and utility area. Mud room off side entrance. A must see! Call your agent today for a showing to see all this home has to offer! Preapproval or proof of funds are required with all offers. Earnest money of 3% or $1000, whichever is greater with accepted offer.